Mullah Obaidullah Akhund and six former Taliban leaders surrender to the Northern Alliance near Kandahar, Afghanistan, but are released. Two were on a US list of twelve most wanted Taliban leaders: Defense Minister Mullah Obaidullah Akhund and Justice Minister Mullah Nooruddin Turabi Toorabi . Akhund “was considered by American intelligence officials to have been one of the Taliban leaders closest to Osma bin Laden.” The US military denies reports of their release, but officials of the new Afghan government confirmed the account and are unrepentant about it. They claim they are following through on an announced policy to grant amnesty to any Taliban leaders who surrender. CNN reports, “Though US forces expressed interest in the men,… they accepted the Afghan decision to let them go, and have given no indication they are pursuing them…” This follows other accounts of Taliban leaders being released in December 2001. 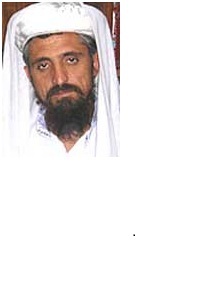 A senior Pakistani official later noted, “Unbelievably, not one [Taliban cabinet minister] was killed, arrested, or defected to opposition forces during the two-month-long, nonstop bombing.” It appears that the highest ranking Taliban leader to have been killed or captured is the deputy foreign minister, who was killed in a bombing raid.